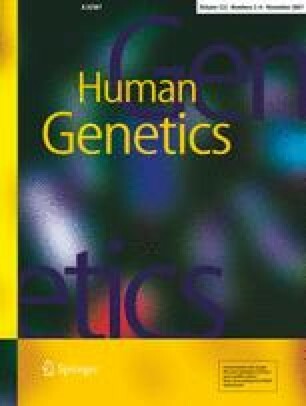 Human iris color is a quantitative, multifactorial phenotype that exhibits quasi-Mendelian inheritance. Recent studies have shown that OCA2 polymorphism underlies most of the natural variability in human iris pigmentation but to date, only a few associated polymorphisms in this gene have been described. Herein, we describe an iris color score (C) for quantifying iris melanin content in-silico and undertake a more detailed survey of the OCA2 locus (n = 271 SNPs). In 1,317 subjects, we confirmed six previously described associations and identified another 27 strongly associated with C that were not explained by continental population stratification (OR 1.5–17.9, P = 0.03 to <0.001). Haplotype analysis with respect to these 33 SNPs revealed six haplotype blocks and 11 hap-tags within these blocks. To identify genetic features for best-predicting iris color, we selected sets of SNPs by parsing P values among possible combinations and identified four discontinuous and non-overlapping sets across the LD blocks (p-Selected SNP sets). In a second, partially overlapping sample of 1,072, samples with matching diplotypes comprised of these p-Selected OCA2 SNPs exhibited a rate of C concordance of 96.3% (n = 82), which was significantly greater than that obtained from randomly selected samples (62.6%, n = 246, P<0.0001). In contrast, the rate of C concordance using diplotypes comprised of the 11 identified hap-tags was only 83.7%, and that obtained using diplotypes comprised of all 33 SNPs organized as contiguous sets along the locus (defined by the LD block structure) was only 93.3%. These results confirm that OCA2 is the major human iris color gene and suggest that using an empirical database-driven system, genotypes from a modest number of SNPs within this gene can be used to accurately predict iris melanin content from DNA. The online version of this article (doi: 10.1007/s00439-007-0401-8) contains supplementary material, which is available to authorized users. We thank Shannon Boyd and Sara Barrow for assistance with genotyping and Mark Shriver and Marc Bauchet of the Pennsylvania State University for assistance in collecting samples. Our work was supported with private funds.